My name is Angela. I attended a class with a lady called Ferret. 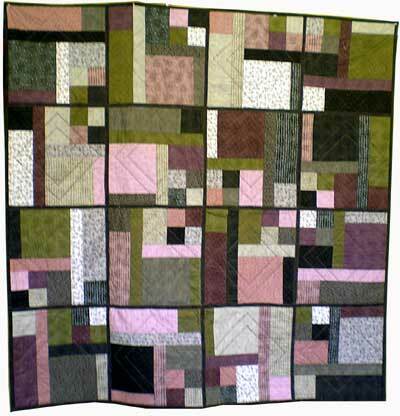 Having purchased one of your books (Turning Twenty Again) from her I selected my fabrics and made up my blocks. When they were all ready I didn't fancy quilting them in one large top so have put them together using the "Qulit as you Go" technique. When I took the quilt into show Ferret, she suggested I send you a photo. Hope you like what I have done, as I enjoyed making my quilt.